Who are your strategic partners and friends? When the Independent Security Advisors training program had just received its first accreditation for law enforcement we asked what could we do for private security officers interested in moving up into the executive protection field. There was already a trend for “premium” security guards in slacks and a jacket to be used instead of a fully trained EP agent at large scale events. But there was a gap in the training of the officers and a “communication problem” with EP agents. One that put the client at risk and left the security officers in a position where they couldn’t operate efficiently. It did, and the IFPO after months of discussions endorsed our dignitary and executive protection training course. Now to help security officers, many making minimum wages and without any financial support from their employers, we reduced tuition to the lowest amount possible, started a group rate program of buy three get a fourth seat free and ISA alumni who owned their own security company offered a scholarship to a private security officer. In 2013 we offered to build executive protection teams within any security company to support hostile termination contracts, House of Worship security, domestic violence intervention, and so ISA clients and our domestic violence action network nationwide could draw on these assets when needed. For the first time, ISA executive protection courses were hosted by private security, and small numbers of seats were made available in law enforcement hosted programs. 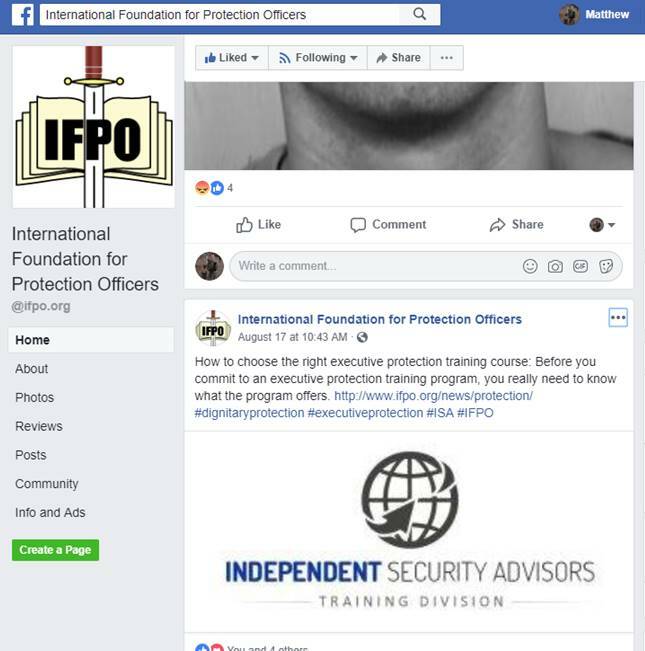 Today we wanted to thank the IFPO for their continued confidence in us and to reaffirm our support to the mission of the IFPO, we look forward to working with security officers and companies interested in advanced training and adding executive protection to their offerings.